Steve is no stranger to hard work. 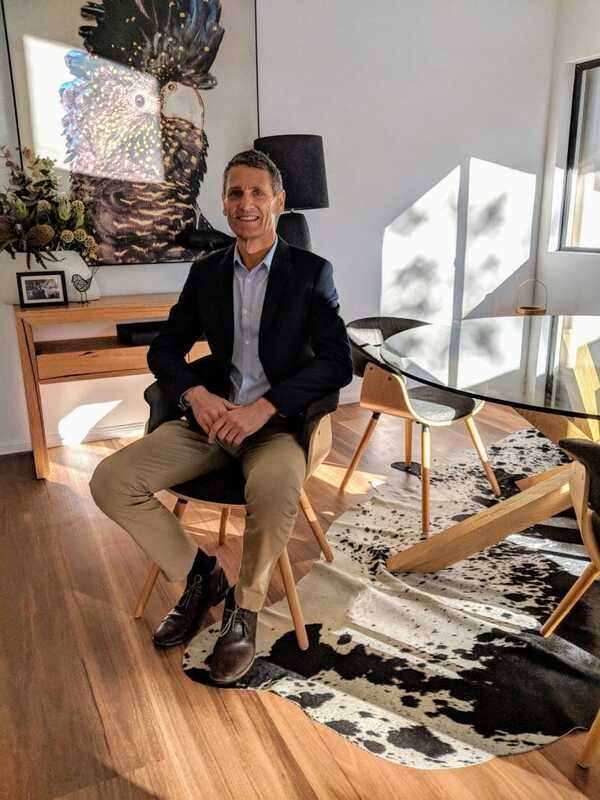 Since 2012 he has been making waves in the Coolum Beach property market to become one of the leading agents on the Sunshine Coast and ranked in the top 1.8% of agents in Queensland. A Coolum Beach local, Steve's passion for the area is evident from the glowing reviews he receives from his vendors and commitment to sharing his local knowledge and insight with buyers about the unique lifestyle on offer and many benefits of purchasing in the Coolum Beach and surrounding suburbs. Armed with well over $100 million in sales, Steve offers a personalised approach that is open and honest. His negotiation skills clearly set him apart from other agents which is the foundation of his phenomenal track record of success time and time again. Our top Tips when selling! Steve was informative, helpful with a communications relating to conditions, kept in regular contact, and helped us to buy at our dream location. No fuss and prompt action, Thankyou so much. Extremely professional would highly recommend. Just wanted to thank you for the above and beyond effort you put into selling my house.You worked tirelessly and professionally to assist me at every turn. Great empathy and technical expertise. Steve provided the opportunity to achieve a desired outcome. His knowledge of the area and the possibilities of further development of the property was appreciated. Steve Lane breaks the mould with your normal "run of the mill" agent. A great communicator who tells it like it is without all the fake salesmanship. We would strongly recommend him to anyone selling their house. He is hard working and is right on the ball with communication and feedback. He was always obliging to any request we had with regards to marketing and selling tactics. In the end we got a sale price that we thought was right on the mark. Steve is supported by a great team, the office staff are always friendly and happy to oblige. Thank you Steve and the Team at Coolum Beach Real Estate. I honestly think it would be hard to find an agent and team that could provide the understanding, empathy, professionalism, commitment, and communication skills that I have received from Steve, Maddie, and the team. I have moved a lot over the years but never on my own. Steve was always there to support me and get the best result possible. Definitely the best agent I’ve ever used. Very grateful! We were really impressed by the whole sales process. From first inspection of our new home through to the final negotiations. Steve & his team were proactive & went over and above to make sure everything went smoothly. We will definitely be recommending Steve and his team to our family & friends in our local area. I have had the pleasure of dealing with Steve on two occasions now....first, when purchasing and most recently, when selling. He is outstanding at what he does. The communication was flawless and he made selling my house a stress free experience. I highly recommend Coolum Beach Real Estate and am very thankful to Steve and his professional team for everything. After meeting and considering a lot of agents in the area, we noted Steve as the stand out! Turned out, we weren't wrong - he made the whole sales experience stress free, personalised and easy. He provided an exceptional service, kept us up to date with everything and made sure we were comfortable with anything and everything. Great work Steve and thank you very much! Excellent service from Steve and Coolum Beach RE. I was selling in Qld while living in Victoria. He and his team managed the full appraisal, listing and sale process for me with clear communication, sensible advice and reasonable negotiation. He clearly knows the local market and is a professional and honest operator. Would not hesitate to recommend Steve to other vendors. Steve was most helpful during our purchase & always kept us informed of proceedings. We used Steve's services the second time, and we would give him a call again in the future! Very experienced, good hearted, reliable and professional. Highly recommend! Thanks Steve! Steve made the buying process reasonably smooth and ensures great communication along the way. I would recommend Steve to other potential vendors, not only due to his professionalism, but his considered approach and his thoughtfulness, if the vendor is open to feedback. I would use Steve again. Had a fantastic experience selling our property with Coolum Beach Real Estate. Steve Lane was very professional, approachable, and displayed excellent knowledge of the local market. We will not hesitate to use their services in the future and happily recommend them to anyone considering buying or selling a property. Thanks guys! Steve certainly knows the market and communicates his knowledge with buyers and sellers in an honest and open approach. He is very responsive to both parties and negotiates in an ethical manner that builds trust in all parties. Steve is very professional and demonstrates high skill and competence in his ability to achieve sales. “I recently engaged Steve Lane of Coolum Beach Real Estate to sell my property after having a less than great experience using another agent from a different firm... I could not be happier with my choice as Steve proved to be a highly motivated, a skilled negotiator with a very high standard of professionalism. I was always given feed back and potential leads were always followed up - nothing was ever to much trouble. Steve is also supported by a team of like minded agents of a similar calibre... I would most definitely use Steve's services again and have already recommended him to acquaintances who were considering selling. Steve and his team did an excellent job. I can highly recommend him for his excellent negotiation skills and for being able to achieve a great result. Having kept a close watch over the last 2 years on Coolum Beach real estate house sales and the performance of local agencies, when the time came to make the very emotional decision to sell my unique Laguna Ct property, I wanted to put it in the hands of the right agent. Steve Lane from Coolum Beach Real Estate was the only choice due to his passion and dedication to Coolum Beach, thorough local market knowledge and the presentation of his stunning marketing campaign. From the first point of contact with Steve and the CBRE Team, he always kept in contact, providing regular up to date buyer feedback from open homes, demonstrated amazing attention to detail and always displayed a calm, professional manner - his customer service and communication skills are second to none !! Complimented by Georgia Everett, who helped achieve the sale while Steve was away, and his PA Maddie Dear, the team worked together providing an outstanding result in under 3 weeks, selling my home prior to Auction at a price that exceeded my expectations. I have no hesitation in recommending Steve Lane when you are ready to sell your home - he really listens and is dedicated to achieve the best possible outcomes for his clients. Steve has great knowledge of the local market and is an great hands on agent to help buy or sell your property. We would have no hesitation using him again in the future. We have been searching for our new home for well over 8 months and Steve and his assistant Maddie went above and beyond what was required in order to help our sale go through very smoothly. Even though we were the buyers they made sure we were give all the assistance possible to ensure a smooth transition! We thank you both for making such an arduous process so trouble free. I chose Steve to sell my property after meeting a number of local agents and feeling that Steve was the stand out in both his professional and personal qualities. Both Steve and his assistant Maddie worked tirelessly to achieve our common goals with integrity and faultless communication. And the results was perfect ... a quick sale at a price that we were extremely happy with. I would most definitely recommend Steve and Maddie to any prospective seller. The difference is he cares about doing a great job for you and he works hard to achieve the result. Steve's approach was very personable, he looked after my purchase as if I was a long-time friend. It was never too much trouble for Steve to respond to my questions and requests. I thank Steve for making my purchase seamless and trouble-free. Words do not do justice for the type of agent Steve Lane is. Steve is a person that from the moment you meet him you truly know he is there for you and is there to achieve the very best results for you. His endless patience and integrity could never be faulted, never once did he try to push me to reduce my sale price even when my property had been on the market for an extended time. I honestly can say if you are looking at selling don’t look any further than Steve Lane. Thank you Steve and your amazing team. Steve and his team have done a fantastic job of selling our house in Coolum Beach. We selected Steve based on his boutique and personal approach, his long-standing career in the area but most of all we felt that he genuinely wanted to acheive the best possible outcome for us. Steve never pushed, rather he guided us in making our own decisions along the way. The result, despite not selling on auction day, met our lofty expectations soon after and we couldn't have been more satisfied. We would highly recommend Steve and his team for any property transaction on the Sunshine Coast. We greatly appreciate the professional way you worked with us on this transaction. The vendors situation complicated it for all parties, yet you navigated it with the best possible outcome for all parties. Steve recently helped me sell an investment property in Coolum Beach. Steve is an excellent agent who possess all the qualities you'd want from an agent selling your property. A strong communicator and negotiator, Steve and his whole team were great to deal with and I was kept informed whole process. Steve was able to secure a price that met our expectations. If you are selling a property in the area, I can't recommend Steve Lane highly enough. The team have been wonderful. Steve kept us informed about opens and viewers and their feedback. When we accepted the offer we were kept informed of the progress of the sale. This has been the best experience we have had when selling a property. We have to say that steve and his team were wonderful in the way the property was marketed, how we were kept up to date during the process and a great result achieved. Steve Lane and his team are real professionals – well organised, disciplined, motivated and cheerful. They also have a quick response to altered circumstances. If you want the job done properly, you should choose Steve Lane. From the very first viewing I met Steve at, I felt relief at dealing with someone who was really interested in finding the right place for the right person, rather than just purely trying to make a sale. Always open and upfront, never pushy. Really reliable on giving accurate and thorough information. I cannot imagine a better person to sell or buy property from. Super grateful for all the support through the process of finding a home! Steve is open and honest. He goes above and beyond for you and his knowledge of the market is second to none. Steve was very professional and patient. It was a pleasure working with him on the purchase of my property. Steve has a good knowledge of the area and kept us informed every step of the way. He was also very helpful with finding a solicitor and clearing out the house. I would recommend Steve to sell any house, he seriously does a fantastic job, and knows what has to be done to get the best price. He has sold 2 houses for myself and my husband, and on both occasions has achieved a price higher than we had even considered. Top bloke!! Steve was awesome. Plenty of communication, great knowledge and very helpful. Steve's strength during the purchase process was definitely in the area of communication. Either he or his assistant Maddie kept communication flowing. I would recommend him as an agent. We found Steve to be very approachable and knowledgeable. As well as having those two qualities he also was honest and shared with us some great ideas. He was always available to speak to anytime we needed and worked well with us. I found the whole process with Steve very easy and any concerns were met with honesty. I would highly recommend Steve for either the sale of yr property or certainly to purchase a property from. Thanks Steve and Maddie for all your help with making our dream a reality and for keeping it simple for us. Appreciate your help greatly! Hopefully we’ll see you both at our house warming!!! Steve Lane was extremely professional, kept us fully informed through the sale process, and delivered on our sale price expectations. I highly recommend him and the Coolum Beach Real Estate team. Steve was a pleasure to work with! He was mindful of our needs as well as the buyer and there was certainly no high pressure sales approach. He was most knowledgeable of the local market and worked effectively to achieve a realistic outcome for all parties. His recommendations and commitment to a sales strategy for my unit was very effective and achieved early results. Thank you Steve. Very easy to deal with. Very effective. Working with Steve was a pleasure. Steve has systems in place to communicate necessary information when purchasing a house. Steve is easy going and has a natural pleasant manner. Steve understands the local market and has an eye for the broader picture. It was a pleasure doing business with Steve and I was extremely happy with the outcome. Thank you Steve for selling the house so quick with low cost ( couldn’t believe it) still don’t believe it. You are truly professional with your work. What you done in few days others couldn’t do in 9 months. Great work thanks. Having first met Steve a couple of years back, we have been fortunate enough to bump into him from time to time around Coolum. From the outset Steve's passion, dedication and commitment to his clients is clearly at the forefront of his drive and focus in achieving a successful outcome. Steve offered very solid but cost conservative advice in assisting us to prepare our property for market. At no time during the lead up did we feel obligated or pressured by Steve. One of his strongest attributes is that he listens. He respects and understands that there can be a significant amount of emotion involved in selling a family home. He is very considerate of this when discussing the nuts and bolts of marketing the property. It must be said that Steve is wonderfully complimented by his team around him in particular being Cara and Maddie. He is very humble in acknowledging the load that these wonderful ladies carry for him. Steve and his team kept us well informed and prioritised detailed contact when he felt that a genuine lead had presented itself from the open homes and marketing. We are incredibly happy with the result and would recommend Steve and his team to anyone looking to buy or sell a property in the greater Coolum area. Thanks Steve and Cara for making it all so easy and enjoyable. Steve was a breath of fresh air, he was professional and appeared very knowledgeable on the local scene and as a result we are now owners of a Coolum unit. Dealing with Steve was very clean and open and we were very happy with his help. The original unit we saw was not fitting the bill and Steve filled the bill with another unit in a short period of time. Thanks Steve. From the first meet through to unconditional sale the whole process was made as seamless and problem free as possible. Steve was upfront, punctual and knowledgeable regarding all facets of the sale and the current real estate market. Without hesitation can recommend Steve for anyone looking to list their property. We found Steve to be very easy going & great to deal with. Would highly recommend. We enjoyed working with Steve. His communication was good & he always acted professionally. I found Steve to be both very experienced & highly professional. He was knowledgeable about the property he was selling & if he didn't know the answer to a question he would be sure to find out for you. Nothing was too much trouble & he was always very obliging. It was a pleasure to work with him! As buyers we have found Steve to be very professional, honest and available, even assisting us outside of working hours. Steve is always contactable and promptly returns phone calls. His knowledge of the Coolum area is exceptional and we found it very helpful; he provided us with maps, hints, tips and local information on places to go. Steve’s enthusiasm for real estate and the properties that he sells is obvious and is certainly an asset for any seller considering listing their property with him. Steve was responsive, professional and very helpful, and we would highly recommend the team at Coolum Beach Real Estate. Steve was a great agent to deal with. He's courteous, friendly, professional and organised. I recently sold a unit with tenants on the lease, and he ensured the tenants were treated well throughout the whole process of selling. I would not hesitate to recommend Steve to anyone wanting to sell their property. Thanks Steve! Steve was very helpful and clearly knowledgeable about the area where he works. We are very appreciative of his hard work. Many thanks. I was extremely happy working alongside Steve to sell our house. He was very caring about our property when bringing people through and made sure our property was secure when he left. Steve worked very hard to secure a very good sale price that were very happy with. Right throughout the whole selling phase, Steve was always a very calm, informative agent who was only ever a phone call away if I had any questions. If I ever moved again, and I hope not, Steve would be my No 1 choice. Steve is a highly professional, knowledgeable and experienced agent who went over and above with my house sale. He thoughtfully guided and assisted me in all areas from house preparation and marketing through to the negotiations and final sale price. He was spot on with the market and his guidance helped us achieve a contract at the asking price after the first viewing. Most importantly though, his honesty and integrity are exemplary. From the first meeting with Steve we knew we had the best possible agent and he proved us right. Steve is in a class of his own and has an amazing team supporting him. I can't recommend him highly enough! I bought this property via Steve almost 3 years ago and had such a good experience with him that when it came to selling, I didn’t need to shop around to compare agents as I already knew Steve is the best agent in Coolum. He’s professional, calm, compassionate, a great listener, a genuine people person and he knows the market inside and out. The other team members I dealt with - Cara, Maddie and Elonie - were all fabulous as well. This was the best selling experience I’ve ever had so I would highly recommend Steve and the team to anyone looking at buying or selling. Steve is very professional and his knowledge and experience of the local market is amazing. He is very personable and easy to talk to. Steve works tirelessly to ensure you get the best deal and whilst he is very busy he makes you feel like you are his only customer. Steve is honest and a great asset to the Real Estate community. We highly recommend Steve and his team to anyone planning on selling or buying. Very capable agent Professional and attentive - good result. Great team We thank the agency for the successful and pain free sale of our unit to existing tenants. Rental, sales and administrative staff worked well together. All aspects of the sale were excellent. The initial sporadic communications were addressed after raising our concerns once. 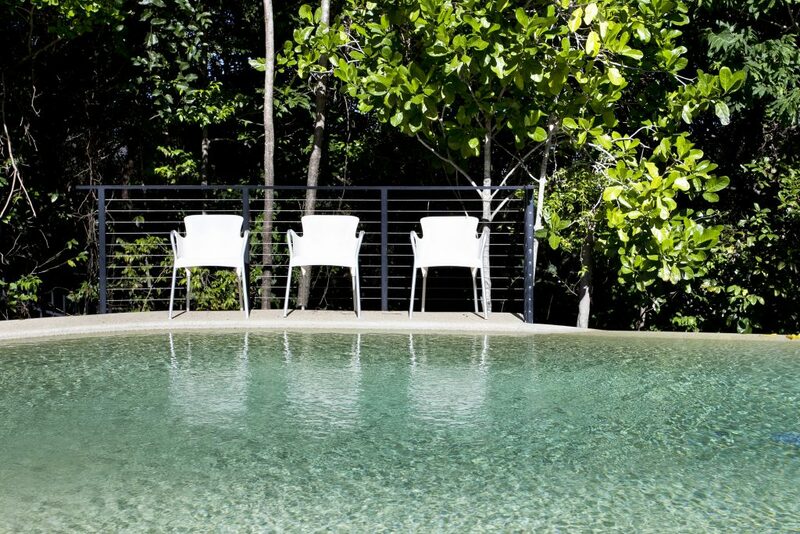 We also congratulate the staff on the exceptional rental services this company provided. Our best wishes to all in the future. One of a kind Property Agent....Steve Lane! Not knowing much about the Sunshine Coast property market, Steve certainly pulled out all the stops for us from the very moment that we first met at a property inspection. His authenticity, exuberance for Real Estate and natural/innate caring nature (without that usual pushy sales pitch, found in many Agents) was evident to us from the very start. He made us feel like we were the most important factor (obviously alongside his Sellers) in fully investigating and understanding our requirements including price point and providing property suggestions to match our criteria. Even though we never managed to secure the first property at auction that we were interested in, that didn't stop Steve in finding our 'forever home' . Straight away he went into action to find an alternative, keeping us appraised every step of the way on the task in hand, despite having a busy schedule as Agents do. So due to Steve's dedication (even obtaining external repair quotes etc) and skilled negotiation between us and the sellers we secured an 'even better' property than the first one, before it really hit the market and for that we are eternally grateful! We really cannot sing enough praises about Steve, like the 'review title' says he certainly is 'One of a kind' 🙂 Thank you so much Steve. We had spent a lot of hours reviewing the market and interviewing agents. This was the very first time that we identified an agent who listened, provided excellent insight with regard to the market, timing of the sale and the marketing approach to take. The first Open for Inspection (without any internet marketing) saw 10 couples visit which was generated from Steve and his team data mining their existing client base. We were receiving multiple offers from the second inspection and a firm offer by the middle of week three and with a little confident negotiation from Steve, he achieved an excellent result. Steve and his team impressed from the start. No hesitation whatsoever recommending Steve Lane and the team at Coolum Beach Real Estate. Steve has been pleasure to deal with in negotiating the purchase of our property. He has kept me in the loop, with regular updates and nothing is a bother. There is no BS either which is refreshing, compared with other agents we have worked with over the years. He knows his market, has a great team and such a lovely manner! Top marks from me. 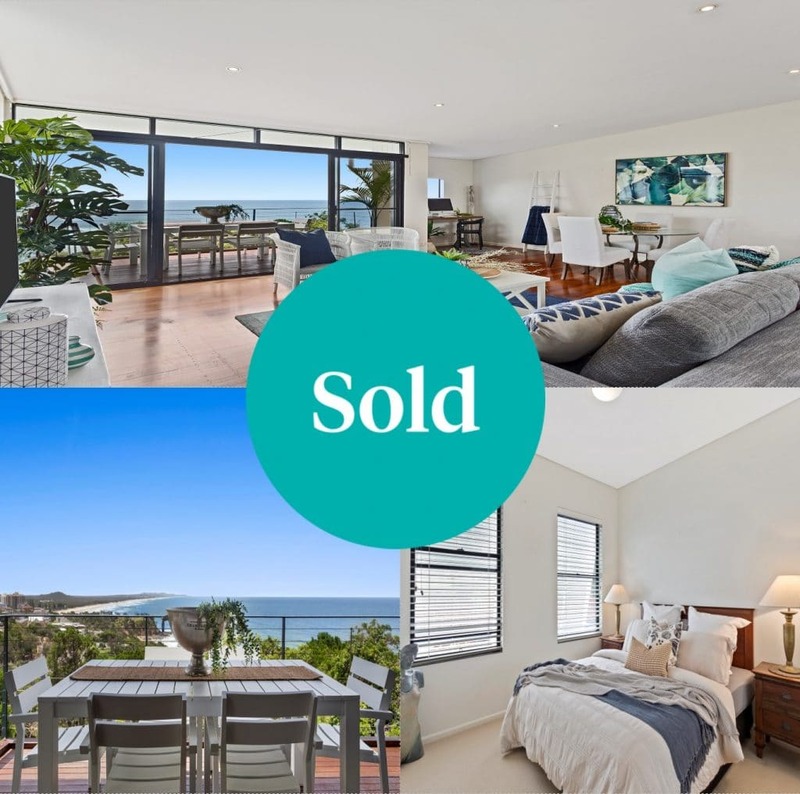 We have previously engaged the services of Coolum Beach Real Estate, Steve Lane & did so again with the selling of our home and as before, we have not been disappointed. House is now sold & I think, has made a Coolum Beach record! Steve works tirelessly to help reach the best possible outcome for you. He is extremely reliable, obliging, punctual, and honest. Steve is not at all like many other agents who tell you what they think that you want to hear, he gives it to you straight. He is very respectful & also mindful of people’s emotions, selling your family home can be very stressful. 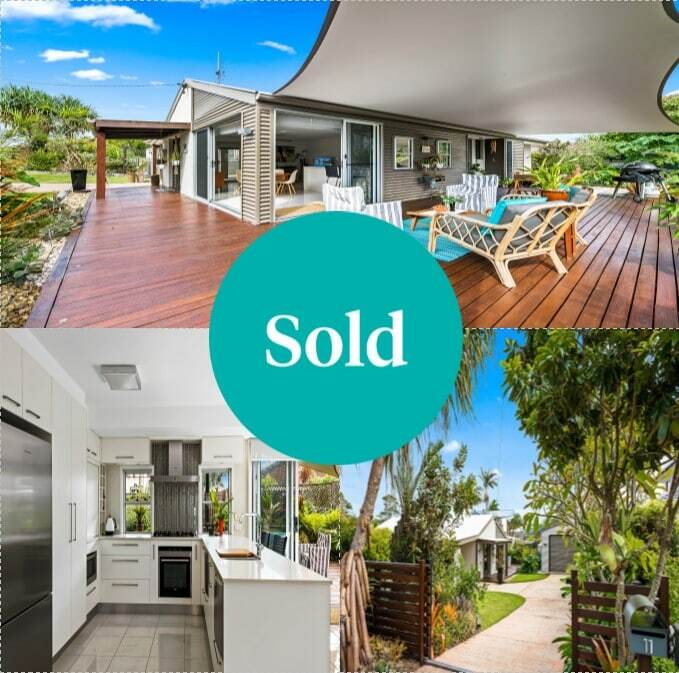 Cara, Angela, Elonie, Maddie & the Coolum Beach Real Estate team have all been highly efficient, they always come back to you promptly, nothing seems to be too much effort or difficult for them. I would recommend Steve Lane, the wonderful Cara and Team most highly & as I am soon to be homeless, will be using them yet again, without hesitation. We have used Steve's services on a couple of occasions and cannot speak highly enough of him. His professional approach and attitude is a credit to both him and his team. Our Unit was on the market for a while but with Steve's constant communication & encouragement we did not give up hope for a favorable sale. Steve worked hard for us and we were very happy to receive a good offer from a genuine buyer. We also found Steve's local knowledge to be an invaluable help selling our property. He is also backed up by a very supportive Team in the office. We thank them all! Steve demonstrated commitment throughout the full home sales process. He recognises that success includes taking the time to carefully and transparently share information and build justification in the expectations from both the Seller and Buyer. His and his team's attention to follow up and communication ensures complete comfort that all efforts are being made to achieve a fair outcome with minimal conflict or concern. Steve and Angela Wood were great agents in the sale of my property at Mudjimba. They provided helpful advice and were professional in all our communication. During complex contract offers, Steve's experience and calm negotiation skills with a range of prospective buyers were very evident. Having also bought a property with Steve, I can highly recommend him as a highly competent, and trustworthy agent. Thank you Steve, Angela and the rest of the team for your great service and professionalism while selling us our first home. 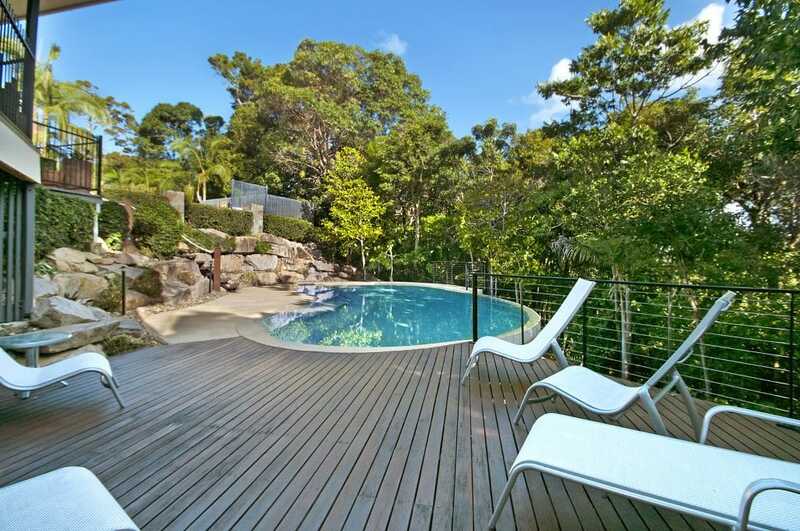 We recently purchased a property that was marketed by Steve Lane from Coolum Beach Real Estate. He was very professional, supportive and organized. Considering he was employed by the sellers to market their property, he was still very fair & honest in the way he dealt with us, the buyers. We were very impressed dealing with Steve and his assistant Angela Wood, and we wouldn't hesitate to recommend their services to anyone who is selling (or buying) in the future. Steve Lane has sold me two houses in the past two years and I have nothing but praise for how he has handled both transactions. We find him knowledgeable, easy to communicate with and above all else, honest and trustworthy. We wouldn't hesitate to sell a property with Steve in the future as we believe that he definitely has his finger on the pulse of the local market. Steve was very helpful with my purchase. He has excellent knowledge of the Coolum property market and he is very easy to work with. I look forward to my new place, thanks Steve. Best Coolum Agent & Mr Nice Guy- We engaged Steve to market our unit after meeting with a few local agents, all of whom valued our property and offered proposals. To be honest, at first when Steve suggested our sell price as up to $190k OVER one agents opinion & substantially more than any other - we were cautiously optimistic and elected to go with Steve not because of this but due to personality, efficiency & demeanour. Steve recognised the value and unique aspects of the property, offered a comprehensive proposal and was always positive, hard working & knowledgable about the local market. In a nutshell, he delivers, keeps sellers in the loop and offers realistic, credible guidance & advice. We would have no hesitancy in highly recommending Steve Lane as the go to agent for Coolum & the surrounding areas. After looking for property in Coolum for over half a decade we have found Steve to always provide a great service offering honest opinions with local knowledge. Steve did an excellent job selling our property. The sale process for us was challenging one, with a number of significant setbacks (no fault of Steve's), when things went wrong, Steve worked tirelessly to resolve issues and get the property sold (where other agents might have lost interest). Steve has excellent communication skills and consistently maintained effective communication with all involved stakeholders. Steve has excellent negotiation skills, and put these to use throughout the sale process, ultimately securing a contract that we were very happy with. I am very thankful we engaged Steve to sell our property, he was certainly the right man for the job, handling a difficult sale in his stride. Steve is an industry leader, as he offers first class market knowledge, client delivery & professionalism in selling or buying your property. One of the best in the Real Estate industry. We were very happy with Steve and his Team (especially Georgia Everett, who initially showed us the house). Steve is very knowledgeable of the marketplace and geographic area. He was most helpful and timely in facilitating the sale. Many thanks, you can not go wrong with Steve and his Team! Steve & his team at Coolum Beach Real Estate have provided me with excellent service during the sale of my property. Unquestionably, Steve is the best Real Estate Agent I have dealt with. His negotiation skills are tops. A man of integrity and diplomacy, he provides informative & accurate communication against a background of extensive market experience. I would highly recommend Steve and his team for the best experience when selling or buying Real Estate. Steve was a great Agent. From negotiation to settlement Steve facilitated the exchange brilliantly. I would highly recommend Steve to anyone thinking of selling. This is the second property Steve has successfully sold for me on the Sunshine Coast. He is at all times professional, enthusiastic and diligent. I could not have been happier with the service he provided, always keeping me informed with detailed reports and personal communications. I recommend him highly. As everyone is aware, purchasing a new home in a new location can be stressful. We had found the home we wanted and did not want to hesitate in making an offer. Steve was conducting the open home and was so informative with all the details of the home. He also gave us a detailed map of the area and explained where to find shops, cafes, doctors, dentists, etc. Our offer was accepted the same day, and thanks to Steve we were excited about our move to Coolum. Steve kept in contact making sure we had a second look as well as booking in the pre purchase inspections. I would highly recommend Steve Lane, as he goes above and beyond to make sure you have all the support and information you need in making what is a life changing decision. We dealt with about 20 realtors in the 3 weeks we looked for a house and we loathed almost every one of them. They all had agendas that were a mystery and didn't seem to involve selling a house to us. Steve was completely different! He not only seemed to represent the seller but was also interested in getting us in the house we wanted. BEST ON THE COAST! We were thoroughly impressed with Steve and his professionalism from the get go. He is a genuine, honest, straight-shooter and brilliant communicator which we have found to be very rare in this industry. He showed genuine care for us throughout the sale process and was 100% committed to achieving the best result for us as the sellers. Steve took any possible stress away and made the whole process very smooth and straight forward. We couldn't be happier. We would highly recommend Steve to anyone. Highly Recommended- Steve was faultless in his management of the sale of our rental property. His communication and relationship building skills turned a challenging tenant to a co-operative team player. Couldn't be happier with the service or result! Steve and his team were all very helpful through the whole process. As first home buyers we were very grateful for the assistance. Over a very lengthy sale period Steve was persistent supportive and professional - a long time and a lot of work but a positive out come for all. Honest and Genuine - We found Steve to be very supportive during our first home buying experience, which for us was very nerve-wracking, but his guidance made it less daunting and his honesty was very much appreciated. Thank you Steve! From initially viewing the property through to finalising the purchase Steve acted in a professional manner. He was very pro-active in obtaining additional information when requested. When private viewings were requested these were arranged promptly. He was in contact with us throughout the process. Even after the purchase has been finalised I feel confident that Steve would be of assistance if it was needed. We were extremely impressed by Steve as our real estate agent. He was honest with our dealings from the start of our selling experience. He is certainly trustworthy, kind, thoughtful, respectful and always ready to answer the questions which were asked of him. He is a man with integrity. We would be happy to recommend him to others wishing to sell their properties. We have now bought and sold a property through Steve Lane and would not consider anyone else. Steve is a very approachable and genuine agent who you can trust completely with your property. Communication and negotiation skills were spot on and meant we were very happy with the outcome of the sale of our property. Steve and Kate work as a great team and we just couldn't regard both of them any higher. Reliable, Responsible and Respectful It was a pleasure to work with Steve on the sale of our house. We felt that he truly cared for both the seller and the buyer. He was there to support us through every step of the process in a very professional yet friendly manner. We highly recommend Steve as a reliable, responsible and respectful Real Estate Agent. Highly recommend!!! Brilliant agent and and such a lovely and genuine person. Not only was he very knowledgeable, but also really supporting and encouraging. Because of him we didn't loose our hope and waited patiently in times of doubts and soon we had our house sold for a price we were happy about. Always available (even on holidays!). We can't thank Steve enough. Thank you! Though selling your house is bound to be stressful, Steve did a good job getting us through it. 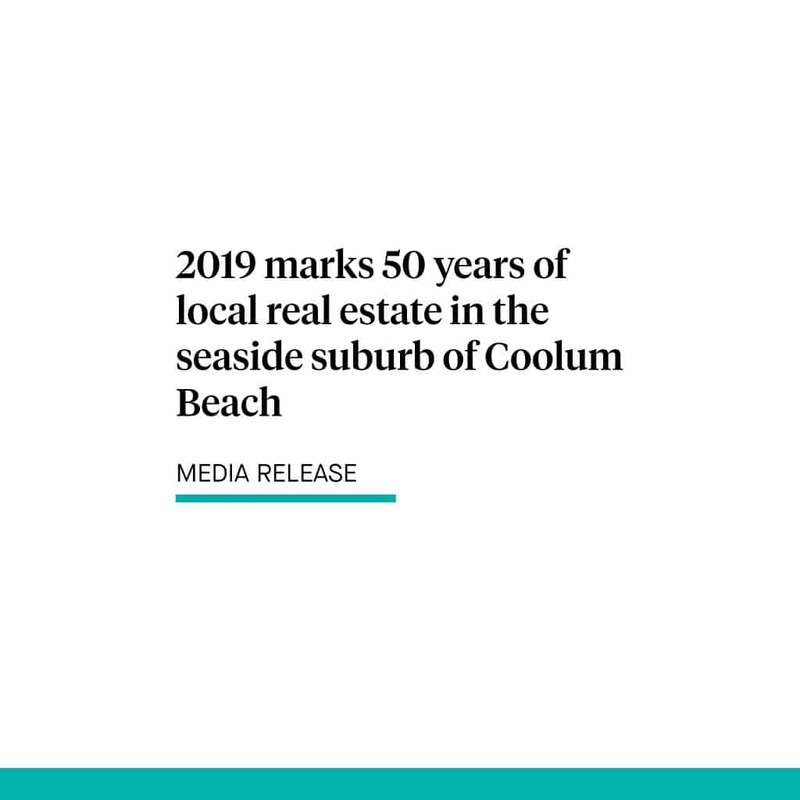 Incredible - We would like to sincerely thank Steve Lane and the team at Coolum Beach Real Estate for the incredible result you achieved for us. Steve, your patience, understanding and commitment to ensuring we get the best possible price was better than we could have possibly hoped. Selling a house can be a very emotional experience but our confidence in you and your integrity throughout the process made it smooth sailing. We had a few offers along the way which many agents would have advised we accept, however, to Steve's credit his advice was first and foremost based upon a great result for us and not just making the sale. Thanks again Steve. Could not be happier. We found Steve very professional, responsive and willing to be flexible on inspection times etc. We are very happy with our new property and enjoying the Coolum lifestyle. 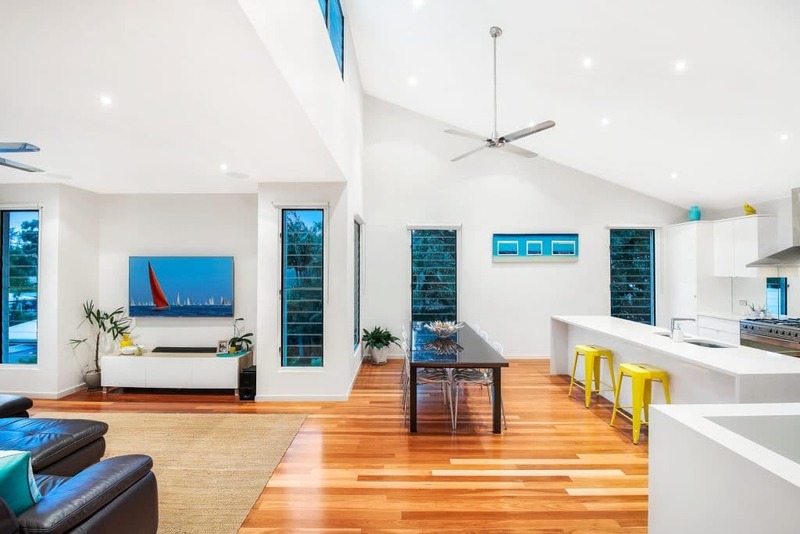 Steve provided a fantastic service for the sale of our Coolum Beach house. His approach was professional yet very approachable during our planning to be on marketing, preparing for market and while we on the market stages of the process. He kept us well informed with progress and communicated well in regards to open homes and other inspections. In the final stages of the sale, he displayed strong negotiation skills which were much appreciated, as a positive outcome was achieved. We would certainly engage Steve again if we were to sell a property in the Coolum area and highly recommend him as a Property Sales Manager. From first email contact with Steve about the house I have just purchased, he has been a pleasure to deal with. I found Steve to be helpful with all of my queries, and if he was unsure of something he would find out and get back to me. It has been nice to be helped without being pushed, and my husband and I both felt Steve was genuine and most likeable. If I was to ever sell or buy again in this area, Steve would be the agent I would go to. This was the second property we have now sold through Steve and again we have gone beyond where we had hoped to be. We had already selected Steve as our agent as he had achieved a great result for us previously and we have had dealings with several other local agents and find Steve to be the most personable and professional. He is without doubt the best sales agent in Coolum, anyone considering selling their property needs to talk to Steve and Cara from Coolum Beach Real Estate. Very happy right from the start. Professional, great communication and a great negotiator. Happy vendor. Steve Lane has successfully sold two properties for us. He has always been a pleasure to work with. His calm, sensible and sensitive approach has made us feel we are in safe hands and working with the best agent. I wouldn't hesitate to recommend him to anyone wanting top price for their property and a smooth low stress process. Steve is of a high calibre in both professionalism and presentation. Steve was fair for both parties and kept us regularly informed about the progress of the house. He supplied helpful information about the house and other information that was required with the purchase of this place. I would highly recommend Steve Lane and Coolum Beach real estate. They are very helpful and proficient and I could very much see Steve's high level of commitment to getting the right price for my property. Honest, reliable and great knowlege- Steve is a great agent, he communication is fantastic, always keeping us in the loop and updating us. His market knowledge is great. He really worked hard selling our property and we were very happy with the result or our sale. Thank you Steve for making the process of buying our own home a smooth and gratifying result. Thanks to Steve and the team for the sale of my property. The sale was a success with a good outcome. Steve kept the sales process moving by constantly keeping in communication and provided all the support we required with a great referral to a solicitor and negotiating our contract terms with the owners. Would thoroughly recommend. Thank you Steve! Thank you both for a great job. I really admire your patience and your perseverance. An excellent result in the circumstances. Steve was always available to assist with any issues and was proactive rather than reactive with our dealings. Steve was the best agent that I have dealt with. Steve proved to be thorough, knowledgeable and highly responsive. We were delighted with the outcome and would have no hesitation in recommending him to others. Best Agent I've ever had Steve is the consummate professional. I have had numerous dealings with him, both purchasing and selling properties. On every occasion he has excelled in the process, keeping me informed and up to date. Even after the contracts have been signed and sealed, he is still interested and proactive in ensuring the process continues smoothly. 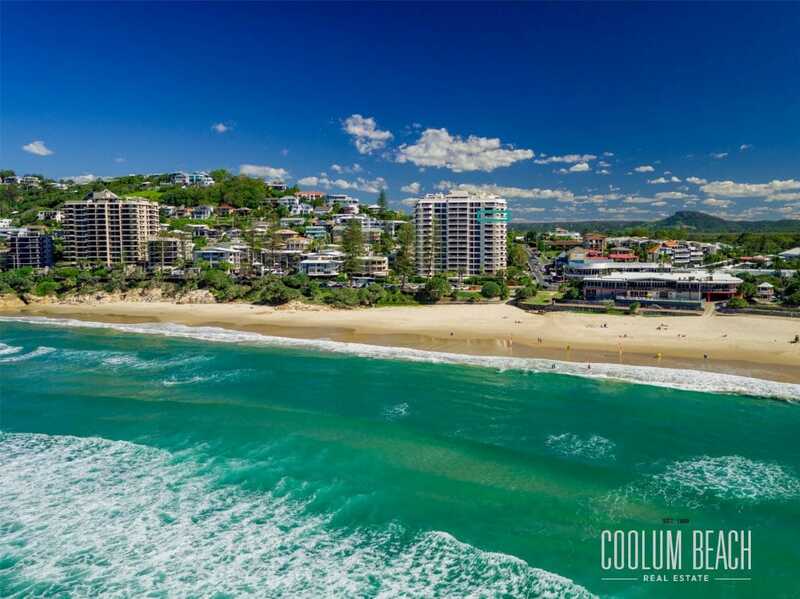 Coolum Beach Real Estate is the best agency I have dealt with around the Sunshine Coast and I would thoroughly recommend him to surpass all of your previous experiences with agents. "Exemplary" Steve scores top marks in market knowledge, communication skills, credibility and negotiation skills because all of these were very evident in our dealings with him. Steve's negotiation and "people skills" became particularly prominent as he tirelessly worked through what was at times a particularly difficult sale to achieve a very good result for us. We have no hesitation in recommending Steve who we see as a role model in the industry. Well done Steve! Thanks for your help purchasing our dream property Steve! You were great to deal with during all aspects of the process. Highly recommend. Buying and selling property is right up there as one of life's most stressful experiences but Steve helped to make my experience as stress-free as possible. Steve has a gentle, professional demeanour and he was a pleasure to work with. I hope to live in this property for many years to come but when I do decide to sell, I would definitely ask Steve to list the property for me. Thanks Steve! Great at providing buyer feedback and marketing information. We were really impressed with his local knowledge and it made negotiating a sale price much easier. Impressed with his involvement with buyers and sellers to ensure a great outcome for all parties. Thanks Steve!!!! Steve sold us our dream home in March at Yaroomba and we can not say how happy we are with our new home purchase. Steve was professional during the entire process. We've purchased homes before but never through an agent that was so knowledgeable both with the area and the fine details of buying and selling. We felt there were numerous times where we seemed to be contacting Steve with queries, questions and or answers at all times of the day and night which he always responded to very wuickly and without hesitation. He "worked" for sellers but we also felt he was working.for us. He and Cara are an exceptional duo that go beyond for both the seller and our case the buyer. We highly recommend Steve and Coolum Beach Real Estate for anyone that is interested in buying or selling. We certainly will be back in the future if decide to sell or buy another property without hesitation. Thanks Steve. Steve I can not thank you and the team enough for the excellent professional service you have provided during the successful sale process. Your advice and judgement on Day 1 was spot on which was greatly appreciated by all the family. 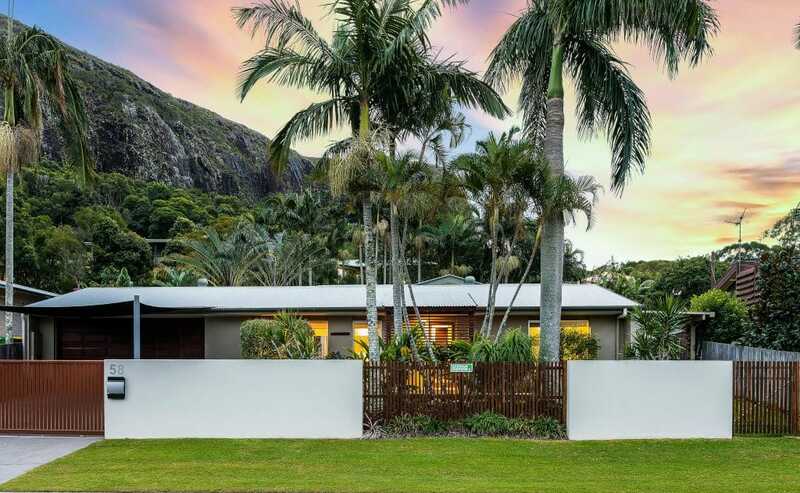 I would have no hesitation on using or recommending you and Coolum Real Estate for any future property transactions which my friends and family have on the Sunshine Coast. Steve was great to deal with, always keep us up to date, we would recommend him to anyone looking to sell. Steve was such a pleasure to work with. He was professional and courteous every step of the way. When we misunderstood any part of the process he was patient and resolved all our concerns and questions. Very happy with the outcome of the sale and the experience we had with Steve. At a chance meeting at an open house Steve Lane impressed me beyond measure. He was relatable, no hard sell and full of information to ensure you make the right decisions for you. Steve left me with the overwhelming sense that if you were going to buy or sell property you would do so with him. I would confidently buy a property from Steve, an easy decision when it came time to be selling my property. Months later I have just sold a secondÂ property through Steve in a very challenging market. Every step of the way I have been informed, supported and valued Steve input in creating the right conditions for a successful sale. After more than 20+ years buying and selling property personally, Steve is a standout in the best possible way. In an industry that at times deserves its reputation, Steve is an exception, he is a most committed, hard working professional agent and is a credit to his team and the ethics he represents. This will not be the last time I do business with Steve Lane and take every opportunity to recommend his services. By Racheal W- Mount Coolum Vendor. Steve Lane is a likeable and approachable guy with great follow-up. He works in a highly collaborative way with his colleagues to ensure the right buyers are introduced to the right properties in a timely manner. Steves responsiveness to our requests for inspections and information was easily the best I experienced in the Sunshine Coast realty market. His contribution to our buying experience was lynch-pin. When I decided to look into downsizing I contacted Steve Lane. I would like to sincerely thank Steve for his persistence, hard work and determination in finding me the right buyer for my home and the house to buy in the position I wished to live. Steve was extremely friendly, honest and helpful through to settlement and beyond. I was totally happy with the service and would highly recommend Steve Lane and his assistant Cara to anyone contemplating selling or buying a property. Best of luck Steve ... your integrity and professionalism are a great asset. By Elaine C- Mount Coolum Vendor. When it was time to sell our vacant acreage close to Coolum Beach, we talked to a friend who had recently sold a property and he highly recommended Steve Lane. We thought it would be a difficult task to sell whilst living in a remote location. We now know why Steve was highly recommended to us, after 6 weeks we had a contract on the property. Steve made it easy communicating via Email and Phone which would of been a challenge due to shift work. He answered all our questions, kept us up to date, was reliable, efficient and clearly explained everything. He went out of his way to take photo's immediately after a tropical low produced alot of rain, just to keep us updated. He really got to know the property. We appreciate everything he has done for us, as he went beyond our expectations. It was a great real estate experience and we look forward to catching up face to face when we get back to Coolum Beach soon. By Sean & Tammy - Yandina Creek V.
Dear Steve, Steve and I would like to say that we appreciate your professionalism and attention to detail in selling our investment property. We were recommended to see you about selling and we would gladly recommend and deal with you again in the future. Thanks Steve! By Bec and Steve. 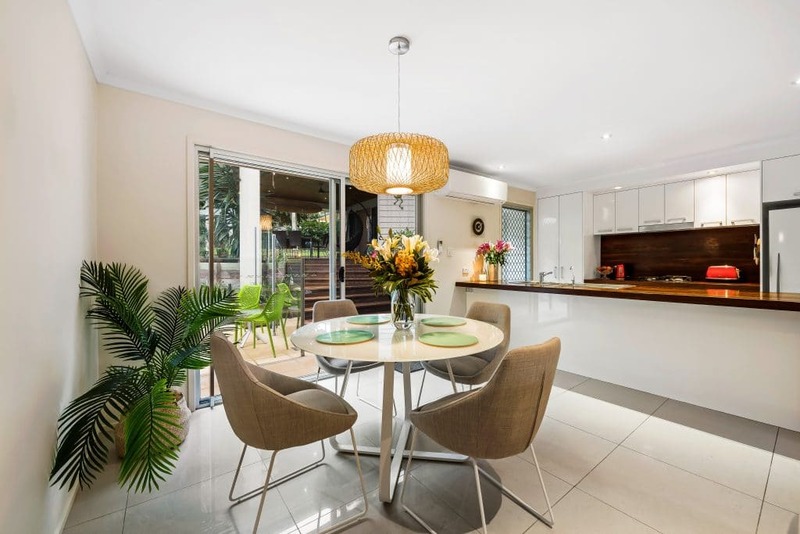 We attended quite a few Open Homes in the Coolum area being offered by the different Real Estate businesses where we came across Steve and his colleague Cara. We were impressed with the style, manner and professionalism displayed by both Steve and Cara during these open houses. We invited Steve to discuss placing our house on the market, seek a valuation and talk over a potential marketing plan with no commitment on our behalf to engage Richardson & Wrench. Steves presentation, intimate knowledge of the area, confidence and straight shooting approach were just some of the factors that helped us decide to offer him the opportunity to sell our house. Our Experience Steve and Cara hit the ground running with Open Houses, photos, internet exposure and the marketing campaign up and running within days. The campaign Steve ran was of the highest calibre and we were kept fully informed at all times with feedback from potential customers, reports on enquiries and internet hits and how other competing properties stacked up and were fairing. We are certain that Steves integrity, professionalism and attention to detail were responsible for the excellent price that he achieved for us. We could not have been more pleased with our relationship with Steve, Cara and Mark. Geoff & Vicky Connolly By Vicky and Geoff. Steve marketed and sold a Coolum apartment for me in late 2014 and provided a professional and communicative service. Despite a relatively soft market, he "hung in there" and eventually got the result that we were after! Professional, ethical, thorough, reliable, committed to excellence and dedicated to client results, Steve was easy to work with, providing the results we were looking for on both occasions he acted as our agent. It wasn't going to be an easy one but you were always positive and supportive and it happened. Our beautiful home was sold with minimal drama and stress. You work hard to achieve results. Best wishes. John and Bronwyn R.
Steve spent a lot of time with us prior to putting our house on the market helping us out with every aspect and when we decided it was the right time to put our home on the market he talked us through the whole thing. His ideas really did sell the house - not to mention he is so easy to talk to and his attitude is always so positive as well as always having communication open which really helped us as we are always at work so it meant quite a few after hours chats ( Thanks Steve!). He was there to re assure us when we needed it and really made the whole process really easy and stress free! Due to Steve being so easy to get along with, buyers are not afraid to talk to Steve and ask all the questions they want to ask - he never makes you feel as though you are asking silly questions and we found that really important as we wanted any prospective buyers to be able to access all the information that they needed. Our home sold when we wanted it to but before we expected it to, this was all due to Steve and Carla's hard work. We will recommend anyone to use Steve to sell their home and as far as we are concerned he is the best real estate agent in Australia! Thanks mate for all of your hard work! Mitch and Mel.